Bumper 2 Bumper is a new CRG sponsor! 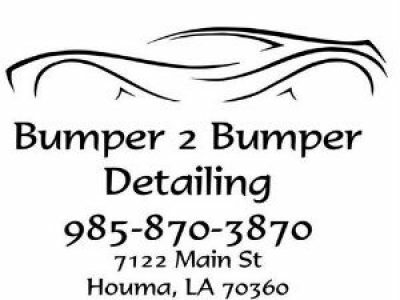 CRG Nation, your Cajun Rollergirls want to offer a huge THANK YOU to one of our newest sponsors, Chris Duet and Bumper 2 Bumper Auto Detailing at 7122 Main Street in Houma! Be sure to visit Bumper 2 Bumper for all your auto detailing needs, and tell them CRG sent you by! Check them out on Facebook! CRG to Host Tallahassee Rollergirls on April 9! Happy Easter from CRG!